I am not big on dressing up for Halloween but I am definitely down to celebrate with some cool Halloween treats. Here are a few simple ones you can try. 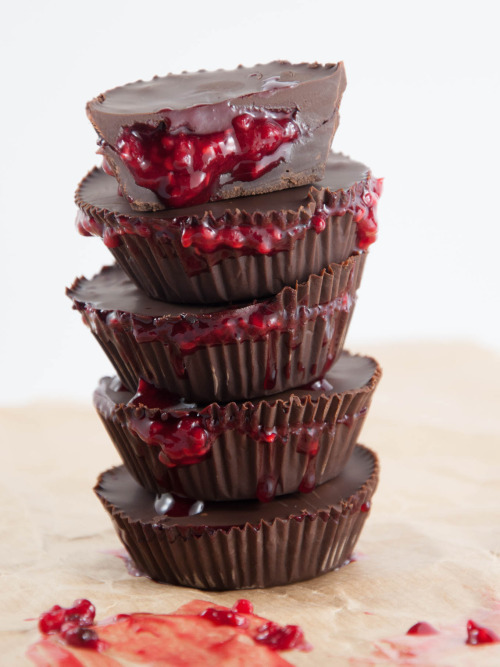 Bloody Cups (Vegan + Gluten-Free) – A twist on the classic chocolate/peanut butter cup which seems to be a favorite among many. It looks deliciously sinister but not too gory. It’s vegan and gluten-free and crazy simple to do. 2. 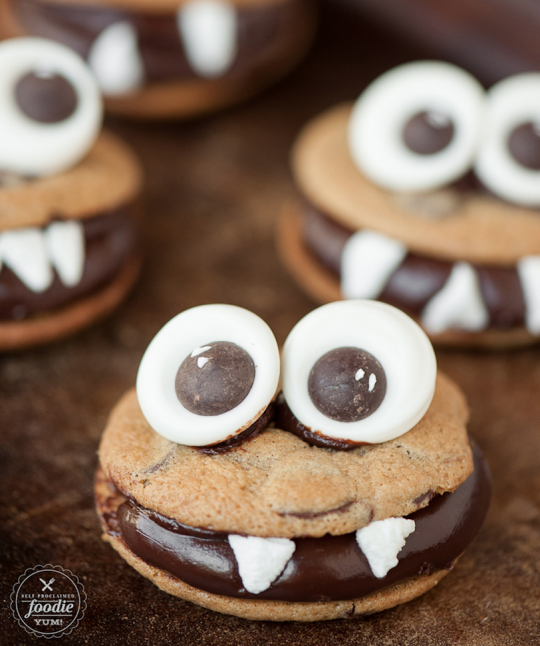 Chocolate Monster Cookies – Cute treat all the kids will love. It might even be too cute for them to consider eating! It can be a fun project for the kids to do before heading out for some trick-or-treating. 3. 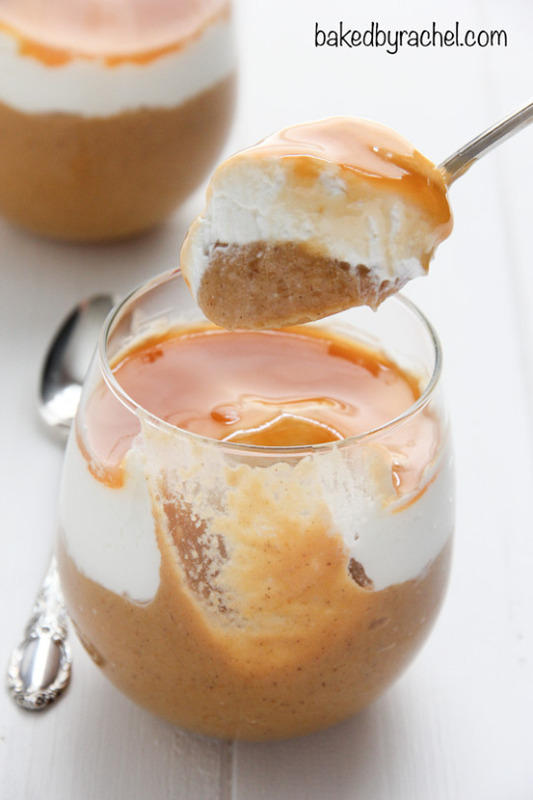 Pumpkin Pie Pudding – I am not a huge pumpkin fan and can be very particular with what pumpkin pie I like. But this just looks to good to pass up. Again, a very simple recipe (if you use canned pumpkin). The taste of fall in a cup… what could be better? 4. 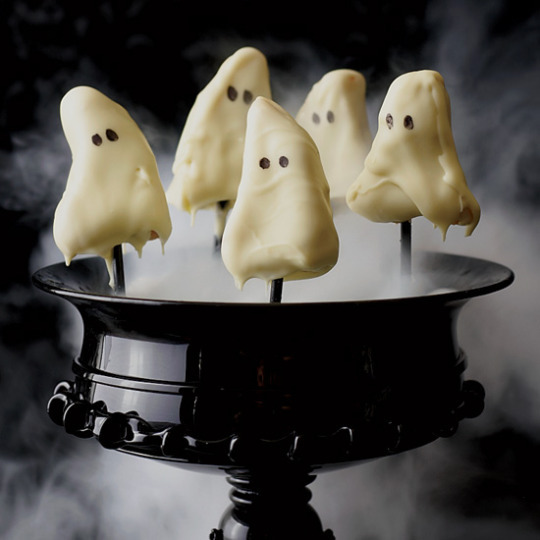 Ghostly Lemon Cake Pops – For a different, refreshing taste profile, you can go with these ghostly lemon cake pops. Again, a relatively simple and tasty craft project kids can get involved in. It would make for a great edible setting for any Halloween party. Please let me know in the comments if you guys make any of these fun treats. I think I will go for the bloody cups as I do my Wes Craven (RIP) marathon tomorrow night. the ghostly lemon pops and chocolate monster cookies look really fun to do and eat, this shall be my treat this halloween! Love the monster cookies, they would be great for a birthday party too! These are all so cute! I would like to try them all!